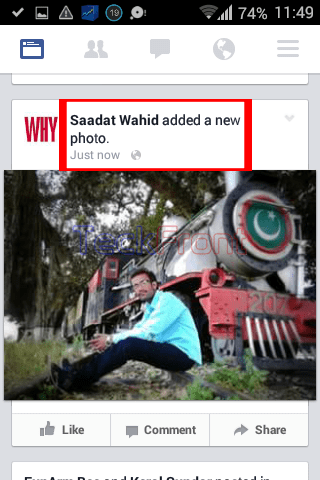 How to Upload Photo on Facebook on Android 4.4.x KitKat Device? Facebook (FB) has been one of the most popular app for the Android devices since long. 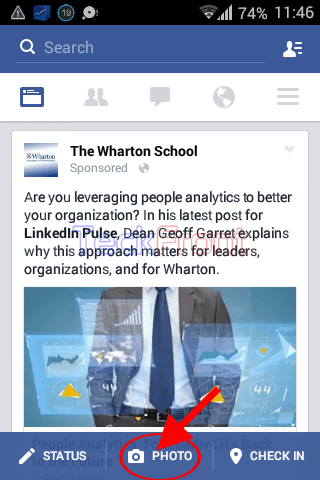 One of the most popular aspects of FB is its unlimited ability of loading pictures and images on it. You may load images and photos, not only from mobile devices but also from desktop computer. It is relatively easier to upload images and photos on FB from mobile devices, thanks to the new generation of phone cameras. You may take snapshot with the phone camera and then upload it on FB or other social media channels. 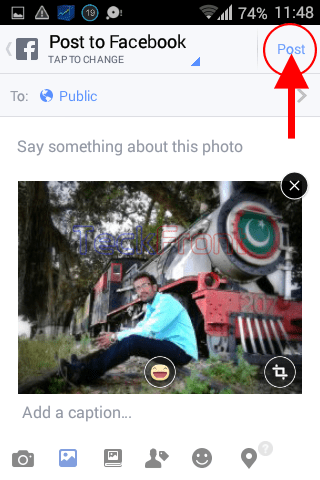 It is easy to upload pics on the FB from Android 4.4.x devices as camera roll is used as the default album to upload pics but if you feel any problem in loading images on FB, see the instructions. Tap the PHOTO. 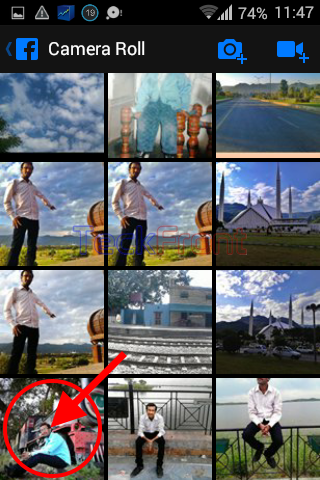 It will open up ‘Camera Roll’ album, present in the gallery of the Android device. 3: If you are scrolling down, this bar may not be visible in some of the devices. So, scroll up the screen to at least one post upward and see the Blue bar will become visible on the screen. 3: Select any photo, present in the ‘Camera Roll’ album and tap it. 4: See this photo is uploaded on the FB with many settings on it, to be done by you. So do the necessary settings and tap the Blue ‘Post’ button, placed at the top right corner of the FB screen but immediately below the status bar. 5: And see the image is uploaded on the FB, immediately. You may upload countless images on FB, using this app. 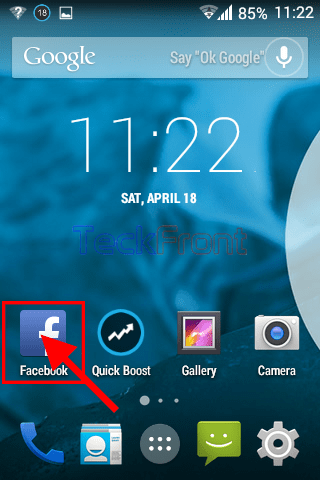 Newer How to Turn On Location on Facebook on Android 4.4.x KitKat Device? Older How to Configure Different Profiles in Android 4.4.4 KitKat devices?